The ringtail, sometimes called the ring-tailed cat, is an interesting and unique part of the landscape in the western United States. I know that many of the Odd Animal Profile’s you’ll find here on Endangered Living tend to be animals from far off places, but it’s good to remember we have incredible wildlife here in our own backyard. One of the few animals I saw on a regular basis while in Sierra Leone was the Great Blue Turaco. 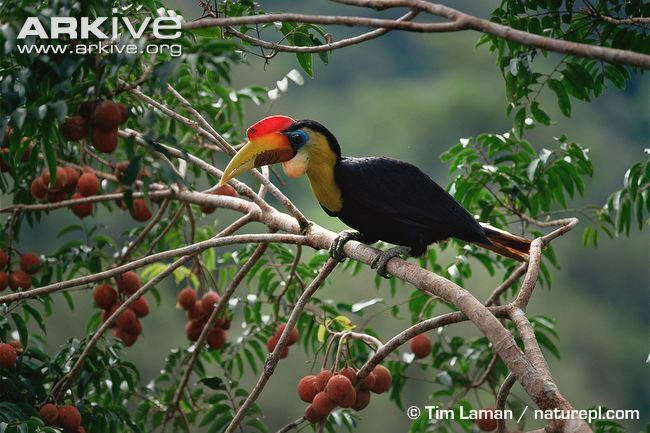 The first time I was told by Papanie that the giant blue bird that flew overhead was a turaco I was shocked. The turaco I had worked with in Dallas had barely been half that size! But the more I saw them the more resemblance I saw to Marty, my Dallas-dwelling turaco. So in honor of the Great Blue Turaco and the amazing wildlife of Sierra Leone, lets have them be the next focus for an Odd Animal Profile. It’s been a while but it is time for another Odd Animal Profile! If you haven’t been around on the site long check out some of our other OAP’s like the oh so popular okapi or maybe you’re in the mood to learn about the sunda flying lemur? Oh I do love animals called “flying” that can’t actually fly! 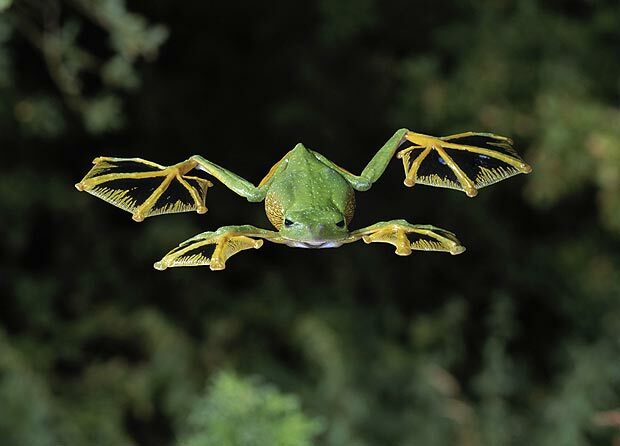 Why don’t they just call this amphibian the gliding frog? Or the frog that can jump extremely long distances? Well, I guess it’s because it’s quite a mouthful, so flying frog it is! I am very excited to announce Endangered Living’s first video in our new video blog series “Videos About Your Wild World.” I have been wanting to branch into video blogging for a while now, but I wasn’t quite sure which route to take. This is a short educational video that focuses on bumble dart frogs, a species of South American poison dart frog. Hopeful within the coming weeks I will get the chance to add some sound and a better title/introduction. But for now, I am proud of my self seeing as I had to learn a whole new version of Final Cut to make this video. I promise if you stick around the videos will only get better in quality from here on out.